Playground installed in Commack NY by Gappsi. Installation of a 70’x30′ PLATINUM HEATMAXX 65 – Face Weight 65 oz/sy Pile Height 1″-1/2″, on top of synthetic grass over 2 inches of foam and gravel base for the proper drainage. 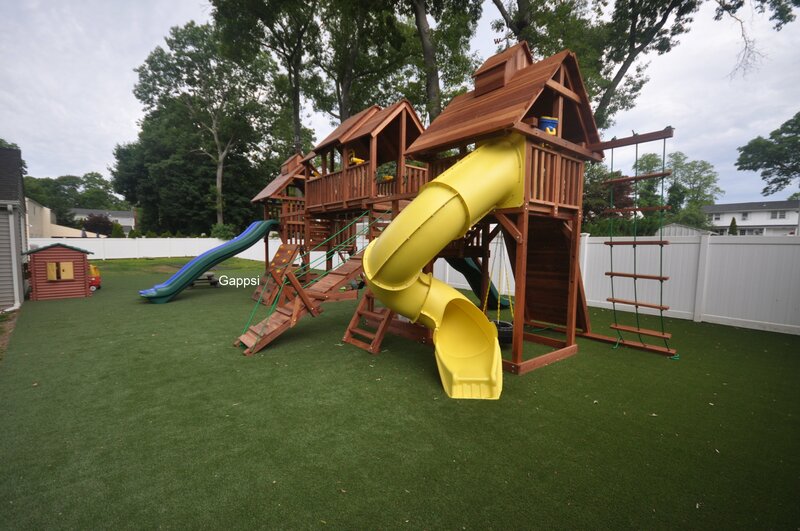 This extra-large cedar residential playground is complete with monkey bars, slides, a sand box, and swing sets, which creates a private park-like setting for these residents.